Although it seems contradictory, the intersection of green energy and mining is not new. In the last 3-5 years it has become clear that a green energy future relies heavily on metals such as lithium, cobalt and copper which are required to manufacture the lithium-ion batteries so vital to electric cars, energy storage and so on. In fact, energy metals look to have pulled the mining industry out of a three year slump, as it seems every mining company and its Blue Heeler is now searching for ‘the hottest commodities right now’. Despite that, the unlikely marriage of mining and carbon emissions reduction is an idea that takes some getting used to, especially when looking at the operations of the mining companies themselves. This week Macquarie Group announced it would be providing ‘development capital’ to a $22 billion renewable energy hub project in WA. The proposed hub (‘Asia Renewable Energy Hub’) was originally conceived with the idea of exporting wind and solar power to Indonesia via underwater high-voltage transmission cables. However the focus of the project has since shifted to supplying energy to mines, mineral processors and other industrial energy users in WA’s mining-centric Pilbara region; as well as fueling the production of hydrogen. According to the AFR, Macquarie Group’s interests in the project has a lot to do with the hub’s potential for sourcing future hydrogen producers. There’s plenty of talk at the moment about the use of hydrogen as an alternative energy source (to ultimately lower emissions). 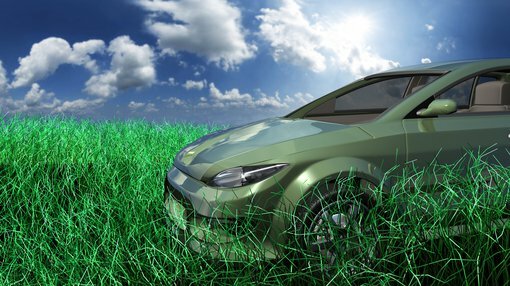 In particular, it's been suggested that hydrogen-fueled cars could shape up to be a serious threat to the burgeoning electric vehicle market. There are several big energy companies in Australia looking to tap into the hydrogen-based renewables trend including Royal Dutch Shell Group, Woodside Petroleum and CKI. The CSIRO has been dedicating a great deal of research to hydrogen, and in August announced it had successfully refuelled two fuel cell vehicles (a Toyota Mirai and a Hyundai Nexo) using ultra-high purity hydrogen — with the agency’s CEO Larry Marshall being the first to ride in them. The potential demand for hydrogen (from China, Japan, South Korea and Singapore) could be as high as 3.8 million tons by 2030, or $9.5 billion worth, according to a National Hydrogen Roadmap put out by CSIRO last month. Those behind the Pilbara renewables hub project have one eye on the project’s future hydrogen export prospects. So, what’s the connection? To actually move hydrogen from place to place is not straightforward and requires converting it to either liquid hydrogen or ammonia — hence why it is being referred to as ‘liquid sunshine’. The idea is that the proposed hub project may provide a solution to the conversion problem. The green energy produced by wind and solar farms could be used to split water molecules into hydrogen and oxygen via the process of electrolysis, which is energy intensive. Yep, this idea consists of using a fair whack of green energy to make green energy... with the potential to reduce carbon emissions overall. This follows some projections that, eventually, wind and solar will spill into ‘surplus to requirements’ on a regular basis. Meanwhile, some companies are looking to use brown coal to create the energy required for the electrolysis to produce liquid hydrogen — unsurprisingly, that’s not a popular move with environmental groups. While innovators in the country’s west are considering the growing market for ‘liquid sunshine’, in South Australia huge investment is being put into exploiting regular sunlight. A major bonus of Australia’s large solar ‘resource’ is the fact that we don’t have to search or dig to recover it. With a recent history founded on coal and fossil fuels, Port Augusta is adamant that it won’t be going back (it actually blew up the 10,000 ton boilers from its old coal-fired power station late last year). Port Augusta is already home to the country’s largest photovoltaic (PV) solar farm — the ~300-megawatt Bungala Solar Power Project being built by Enel Green Power S.p.A., the fully-owned subsidiary of Enel SpA which is listed on the Milan Stock Exchange (ENEL:MI). Stage one of the project is now done, and the completion of stage two will see the PV farm cover an area close to the size of Melbourne’s CBD. The $44.5 billion capped ENEL has seen its share price take somewhat of a hit this year (down ~14% YTD), but has gained ~16% overall in the last two years and a promising ~36% in the last five years. ENEL has a presence in 30 countries (across five continents). Next week’s column will take a look at what ENEL is doing and its latest forays into new green energy technologies. Could a Loxo Oncology Style Trial, Bring Loxo Style Results for PTX? Investment in renewables heads north, but who should you watch?